TARRANT COUNTY, TX (KTRK) -- Tonya Couch, the mother of Ethan Couch, has posted bond, according to Sheriff Dee Anderson of Tarrant County. 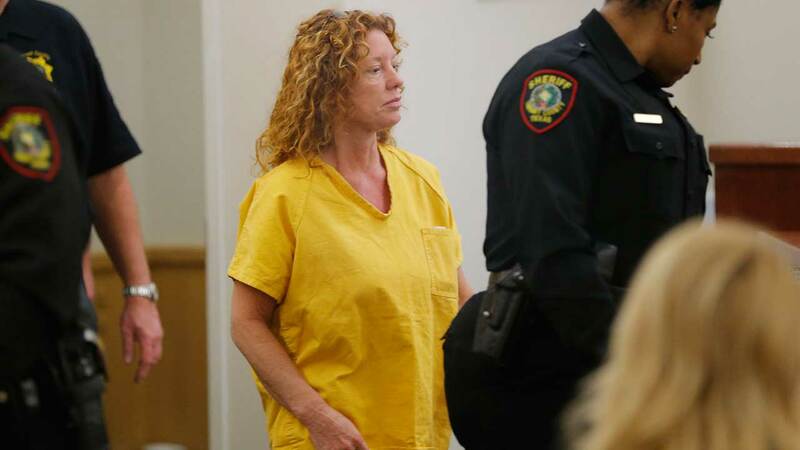 The mother of the "Affluenza" teen is set to be released Tuesday morning. Got word Tonya Couch"s bond has been posted. Barring any unseen delays she will be released tomorrow morning after getting monitor. Sheriff Anderson posted a message Monday night on Twitter saying, "Got word Tonya Couch"s bond has been posted. Barring any unseen delays she will be released tomorrow morning after getting monitor." The 48-year-old is charged with hindering the apprehension of a felon after she and her son, Ethan Couch, were caught in a Mexican resort city. Ethan, 18, killed four people in a 2013 crash and was facing allegations that he violated his probation. Authorities say Tonya Couch took $30,000 and fled with Ethan to Mexico out of fear that her son would be put behind bars for violating his probation. The two were caught Dec. 28 in Puerto Vallarta, Mexico. Tonya Couch was brought back to Texas last week after first being taken to Los Angeles. Ethan Couch remains in a Mexico City detention facility, where he is contesting his extradition. She will be required to wear an electronic ankle monitor and remain at the home of her 29-year-old son Steven McWilliams, except for appointments with her doctor and lawyer. "I want her at her son's home and that's where I want her to stay," said State District Judge Wayne Salvant, who also ordered Tonya Couch to pay nearly $3,200 in restitution to the sheriff's office for the cost of transporting her back to Texas from Los Angeles. Salvant said he understood prosecutors' concerns that Couch might flee again, but that the charge against her, while a third-degree felony, wasn't serious enough to merit a $1 million bond. One of her attorneys, Stephanie Patten, said afterward that she wasn't sure if Tonya Couch would be able to post bond. Ethan Couch was 16 and driving at three times the legal intoxication limit for adult drivers when he rammed a pickup truck into a crowd of people trying to help stranded motorists on the side of a North Texas road. Four people were killed in the June 2013 wreck. A juvenile court judge gave the teen 10 years' probation, outraging prosecutors who had called for him to face detention time. The case drew widespread derision after an expert called by Ethan Couch's lawyers argued he had been coddled into a sense of irresponsibility by his wealthy parents, a condition the expert called "affluenza." Despite all of the previous testimony about the teen's wealthy upbringing, his mother's attorneys have argued that she had few assets to her own name and couldn't pay the cost of a $1 million bond. McWilliams testified Monday that his mother's bank account had been frozen by a court order and he wasn't able to access it. He also told a prosecutor upon questioning that he wouldn't have been surprised to have seen $100,000 from the sale of a house in the account. Tonya Couch is separated from Fred Couch, Ethan's father, who owns a suburban Fort Worth business that does large-scale metal roofing. According to an arrest warrant, Tonya Couch is accused of telling Fred Couch that he would never see her or Ethan again before fleeing. McWilliams testified that Fred Couch was "fairly adamant" he wasn't going to give her money. Tarrant County criminal investigator Darran Gabbert testified Monday that Tonya and Ethan Couch had a "planning meeting" with several other people before leaving for Mexico. One person at that meeting was a teen who was in Ethan Couch's truck at the time of the crash, Gabbert said. Gabbert said that teen's attorney had contacted him to say the teen had Ethan Couch's driver's license and a credit card. The teen didn't have his own ID, however, Gabbert said. Tonya and Ethan Couch were found a few weeks after disappearing. Authorities say they were able to track them after the two ordered a pizza. A Texas magistrate on Friday signed an order to examine Tonya Couch for "mental illness and mental retardation." The order said the court determined there was reasonable cause to believe she "has a mental illness or is a person with a mental retardation."